So here’s an unusual one – a venue which caught my eye as much as it did my imagination. And you know what? I love wedding venues which are different, unique – especially when they’re not dedicated wedding venues. The first thing I noticed about Hannah was her smile: that beautiful, overjoyed, beaming smile – it’s how every bride should look on her wedding day. She’s stunning. 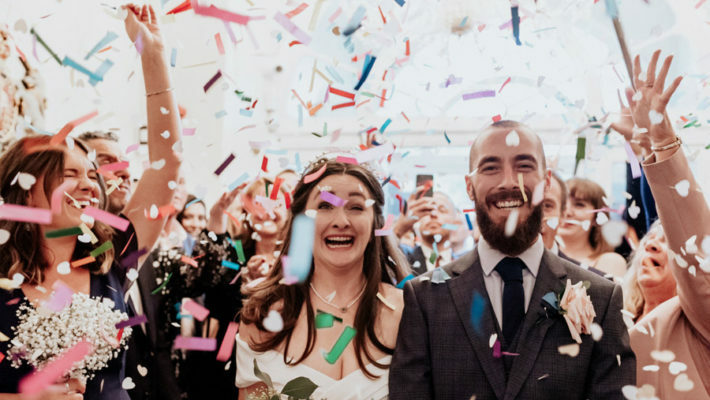 Add to that her gorgeous groom, the lovely, delicate winter styling with pine cones, the super pretty textured bouquets, the wonderful venue that is Chilston Park, and the superb photos – and I instantly knew I had to share this wedding with you. Every day this week I’ve been for a lunchtime walk by the beach. Being outside – even feeling sunshine on my face – lifts my heart. It’s kind of amazing that a photograph can do the exact same thing. This is Jo & Sam photographed on their wedding day at Elvey Farm in Kent. We’ll be featuring Jo & Sam’s wedding on the blog next week! One thing that really marks a wedding for me is the menswear: as a wedding blogger it’s something I look out for even more than the dress. You just know when the guys are wearing something a little more interesting than hired suits, it’s going to be an amazing wedding. 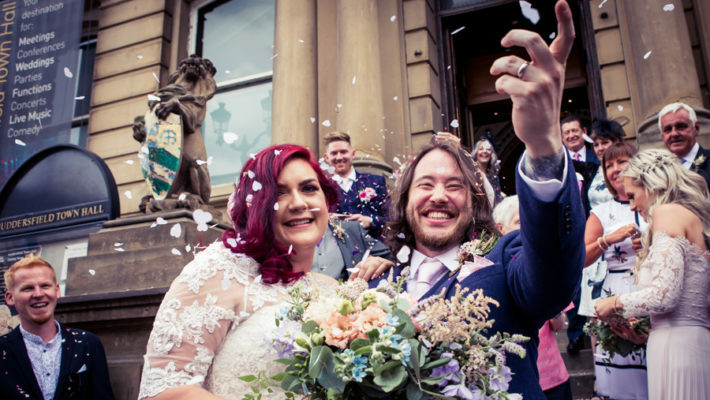 Beverley & Jackson – your day is the perfect, gorgeous, brilliant example of the kind of celebration I love! 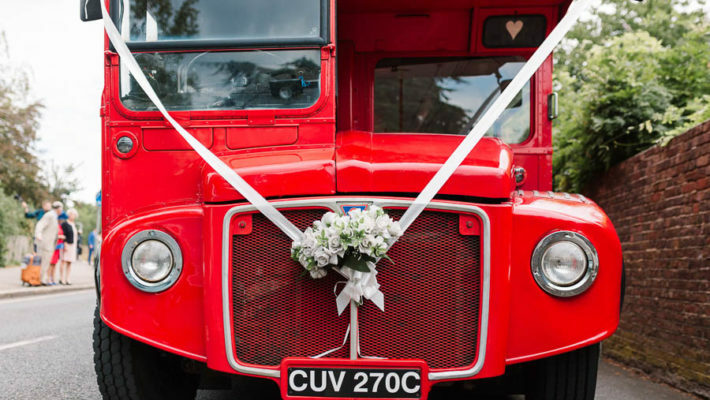 Get published on the English Wedding Blog! Photography credits: Tiree Dawson. All suppliers featured are listed at the bottom of the page. 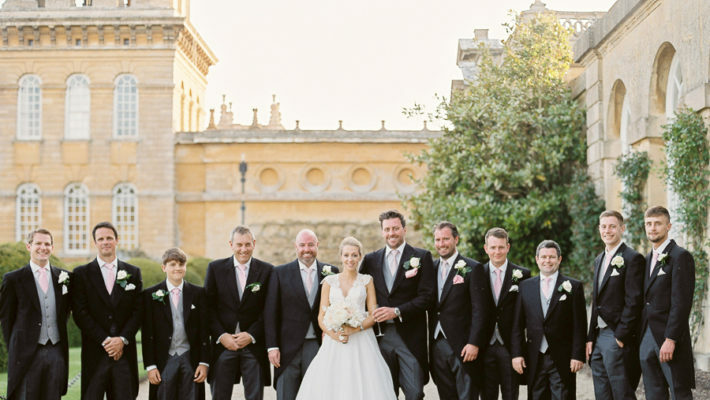 This is the most festival-like wedding I’ve ever seen… and it’s perfect. 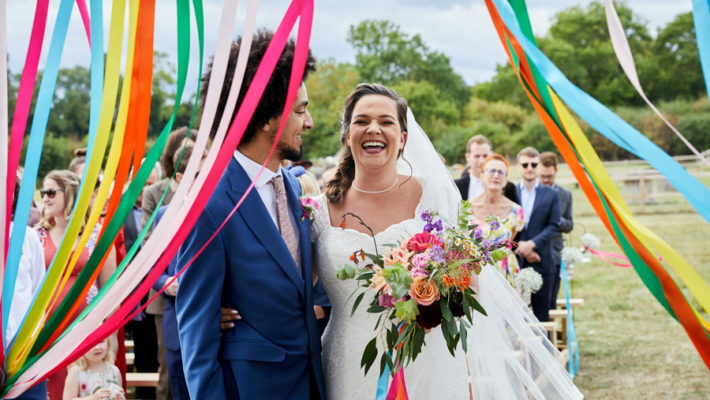 I wonder sometimes if weddings are a little too formal for everyone: even when a wedding is styled to look like a festival, I think often it still feels more like a wedding – but today, the focus is well and truly on fun, and music, and really the decor and styling is only a tiny part of things. Phil and Elizabeth fell in love, married, and had the celebration of a lifetime. And it’s AMAZING. So on Friday I was back in Manchester for the first calligraphy workshop of the year, and my lovely friend Paul from pkprophoto.uk joined us and filmed a part of the day. I’m thrilled with this little film which shows just what happens on our workshops – and I wanted to share it with you! If you’re interested in learning a little lettering and calligraphy for your wedding day, join me in Manchester at one of my spring classes: dates are below the film. 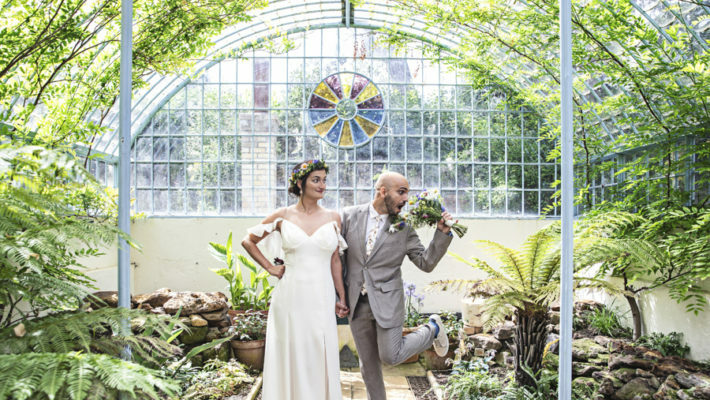 Chris and Emily styled their Sussex wedding beautifully. 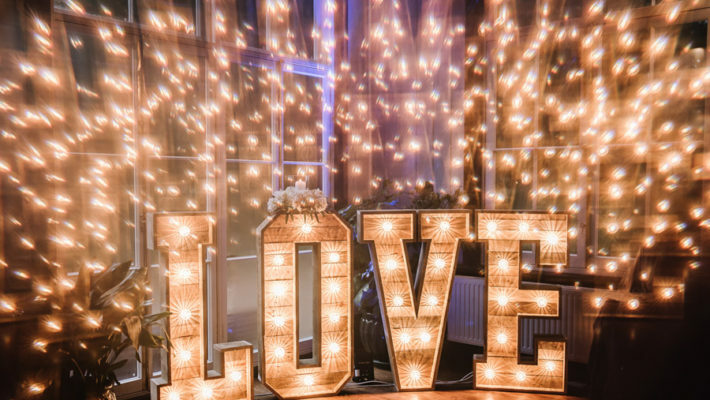 They chose a venue which fitted the relaxed wedding style they wanted to have, and the simple and impactful fairy light and lantern decor makes it fun, pretty and welcoming! Emily saved money by buying a sample wedding dress that was about to be discontinued. “It needed a few minor repairs due to being tried on in the shop but even with these it was half the price of having one custom made. This morning we shared the first of three fabulous Viking inspired bridal looks, and you’ll have glimpsed some of the most amazing table styling in the banqueting hall at Lowther Castle. This afternoon I’m sharing my very favourite parts from this shoot: the tablescape – and it’s so much more than just a table! Let’s take a closer look at the tablescapes, floral design, wedding cake, stationery suite and bridal styling from this morning’s Lowther Castle shoot. Wedding tables are changing: the last thing they are is flat… tablescapes now include fabulous hanging decorations and sumptuous design from floor to ceiling. The banqueting tablescape from Lowther Castle was one of the loveliest I’ve EVER seen – and it’s so exciting to be able to share it with you on the English Wedding Blog. You’re about to have a brilliantly inspiring Monday morning. (You’re welcome!) I’ve fallen head over heels for today’s style inspiration: we’re about to journey into a world of Viking style, via a shoot which embraces amazing lighting, decor and beauty. There’s a fabulously creative tablescape the like of which I’ve never seen before: it’s simply out of this world. The first bridal look is my favourite: those long braids and striking accessories are more than gorgeous – and the dress and accessories work beautifully. It’s an alternative look for a bride with real character: a chance to embrace your creativity and dress up – knowing your bridal look will be unique, and oh so you. I adore the shape of this dress as much as I do the detailing: the delicate lace and hand cut suede flowers in the shoulder detail make it such a magical style to wear – bliss!